Horizontal blinds are a durable window treatment that come in a variety of finishes and slat sizes while providing excellent light control and privacy. 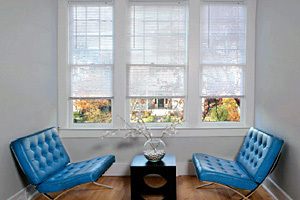 They are a cost efficient option to roller shades and are available in aluminum, faux/real wood and vinyl slats. Vertical blinds are a viable option for sliding doors/oversized windows and cost effective. They are offered in vinyl slats or fabric inserts. Sliding Panels offer a modern approach, providing the same benefits of vertical blinds and utilize solar fabrics and fabric accents. Commonwealth Blinds & Shades is Virginia, Maryland, Tennessee, North and South Carolina’s finest supplier of commercial, industrial, and educational window blinds, shades and window coverings of all kinds.